How fast did flyboats go? 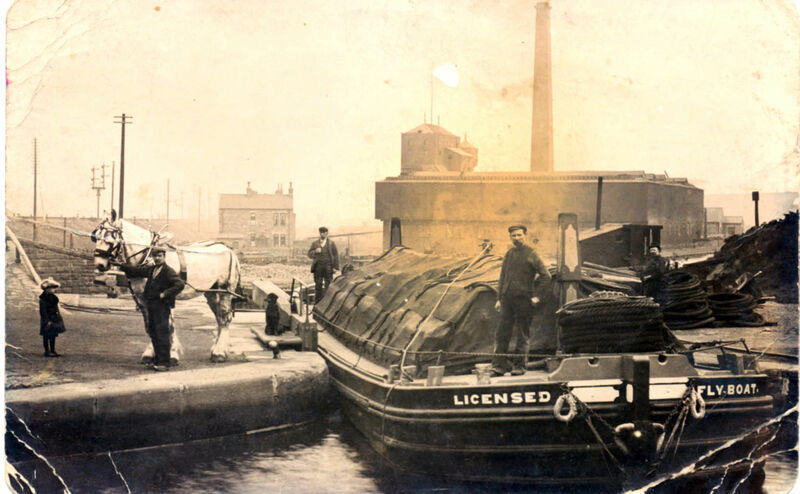 An "express boat" service was started on the Glasgow, Paisley and Ardrossan Canal in 1830. One of its employees, William Houston, was guiding an empty horse-drawn boat when the horse took fright and bolted. Expecting the horse soon to tire, he hung on, but was amazed when the boat rose up onto its bow wave and shot off along the canal at high speed. Mr Houston was canny enough to realise the potential, and soon travellers were being hauled along the canals at high speed in an early example of planing. This canal—11 miles without locks into the centre of Glasgow—was an ideal situation for this venture. Once the boat was planing, the wash that damaged the canal banks largely disappeared, and by 1835, flat iron boats up to 65 feet made 323,290 passenger trips at 10 mph in a year. Services were established on the Forth and Clyde and on the Shropshire Union Canal flyboats with single horse-pulled, 22-ton loads at 10 mph as late as 1847. Is this true? It sounds ridiculous. I don't know much about the Forth and Clyde but imagining 22 ton loads being pulled down the Shroppie at 10 mph by cantering horses? Really? My understanding is the flyboats were quicker because they ran 24 hours a day, not this idea of planing boats zooming across the canal. Occurring a year after the opening of the Liverpool and Manchester Railway, this development sparked enormous interest in the canal world. Books were published by Sir William Fairburn and Sir John Benjamin Macneill. The latter records experiments on the Paddington Canal in London attended by Thomas Telford and Charles Babbage. They hoped that steamboats running on the canals would be able to attain these high speeds, thus fighting off the threat of the railways. Unfortunately, a brilliant series of experiments conducted by the young John Scott Russell, for which he eventually received the gold medal of the Royal Society of Edinburgh and initiated research in solitons, demonstrated that the phenomenon could only be achieved in very shallow canals, and that steamboats needed very different conditions. Thomas Telford did build the harbour at Ardrossan a deep water harbour to export coal and handle imported goods in transit to Paisley and Glasgow. There is a plaque. The canal was laid out by the civil engineer Thomas Telford (1757-1834) and was to run thirty one and a quarter miles (50 Km) from Tradeston, Glasgow, to Ardrossan on the north Ayrshire coast through the counties of Renfrewshire and Ayrshire via Paisley, Johnstone, Dalry and Kilwinning. Thirty feet wide and four and a half feet deep, it would not only bring cargoes from the seaport at Ardrossan to Port Eglinton in Glasgow, but also attract trade from the coalfields along its length. Although the money ran out at Johnstone, the completed part of the canal, opened in 1810, operated successfully for many years. The express passenger boats in 1836 carried 420,000 people between Paisley and Glasgow. It was finally made obsolete by the expansion of the railway system and in 1885 the channel was infilled. A railway now follows its path. This is an excerpt from a history article regarding Fly Boats on the Lancaster canal, and indeed they did apparently reach 10mph. The pinch-point was the only lock flight at Tewitfield at which, as far as I understand, they saved time by walking the passengers through the flight to another boat at the other end. The Lancaster Canal was open to Kendal however, and at the height of its operation "Fly Boats" could complete the journey from Preston to Kendal at the then unheard of speed of 10 mph, and within 10 hours. 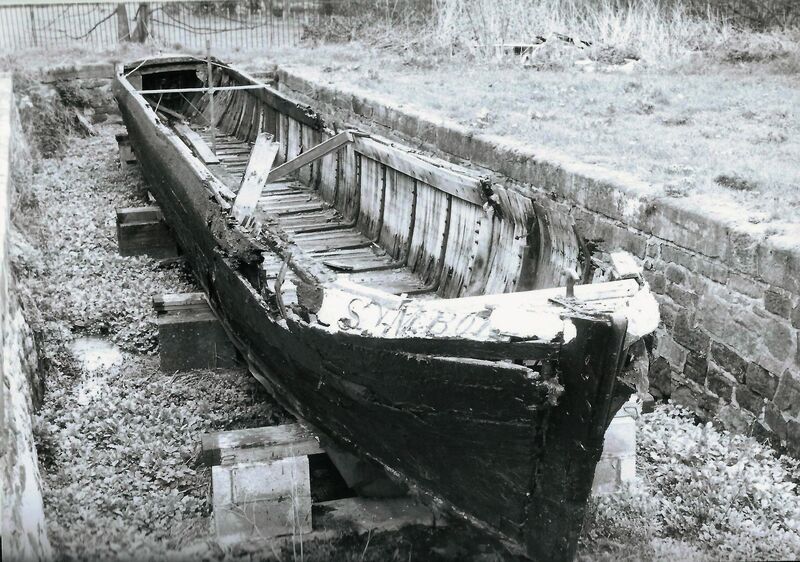 During its working life, packet boats provided an express passenger service between Preston and Lancaster, and later to Kendal at 10 miles per hour (16 km/h), with passengers walking up or down the flight of locks at Tewitfield and embarking on a second boat. The seven-hour journey time halved the best speeds of stage coaches; because of the comfort of the journey, passengers stayed loyal to the packet boats even after the advent of railway competition in the 1840s. This prompted me to read the chapter on the Glasgow, Paisley and Johnstone canal in Jean Lindsays excellent book "the Canals of Scotland". Thank you for raising it! I think this called something like a 'soliton' wave, and was utilised by the Shroppie fly boats, which reportedly could travel at 10 or more mph. The distance from Glasgow to Paisley by rail [canal route] is seven miles, it takes ten to fourteen minutes by modern train, I'd think a horse pulling a barge would do well to do an hourly service, allowing for five minutes to embark and five to disembark. The Shropshire Union fly boats were built barrel sided & lighter construction so carried less tonnage AFAIK they didn't travel to much faster than long distance boats but having a right of way they kept going having usage over other boats at locks they also changed crew & horses more frequent intervals.they traveled mostly at night so avoided the movement of most other craft Packet boats often had a sickle type blade on the bow to cut other boats towlines if they were to slow moving out of the way. We publish Shropshire Union Fly-Boats, written by Jack Roberts, who was a fly-boat captain before WW1 and until fly-boating finished on the Shroppie around 1921. 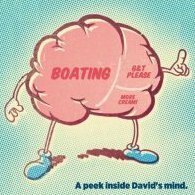 There's no suggestion in his book that fly-boats went noticeably faster than other boats, but points made above would suggest that they were perhaps a bit faster. They were barrel sided (rounded), and quite light being wood, not iron, as some others at the time would have been. The key points are that the channel was far deeper than now (probably at least four feet), well dredged to the sides, and horses (changed fairly regularly) will always be faster than a motor, on average, especially as they accelerate faster in flights. Jack claimed that they normally cleared the Audlem flight of 15 locks (spread over 1.5 miles) in 55 minutes. Try that now! And the key thing is that Shroppie fly-boats operated 24 hours a day, more or less to a timetable, with a crew of four, though with two sleeping at quieter times. Jack gives some timings in his book, though there's never all the details we'd like. But we know that Birmingham to the Port (Ellesmere Port) was not a lot over 24 hours. Remember also that the fly-boats weren't plagued by miles of moored boats, so they didn't slow down. 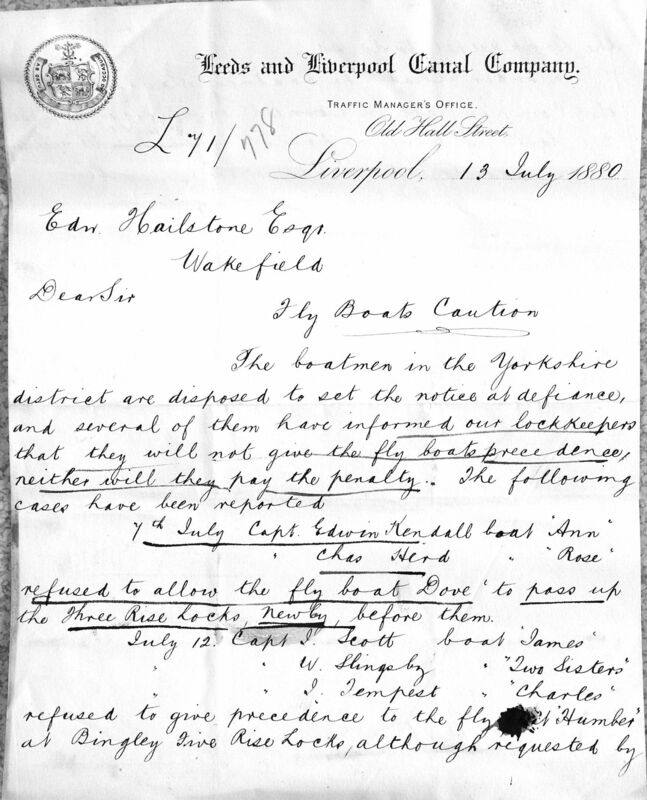 Incidentally, there seems no real evidence that Shroppie fly-boats had precedence over other boats. I suspect that only applied to packet boats carrying passengers, and there probably weren't any (or many) in fly-boat days on the Shroppie. I'm not able to comment on what was the case with other canals. I was browsing online and found a print of the Royal Barge on the Crinan canal in 1847, pulled by four horses with two postillions, one cantering and three trotting. They looked like carriage horses, I'd think that they would keep up ten mph on the long stretches. This contemporary narrative suggests six horses were used. There is a maximum speed that any displacement hull can travel through water due to the resistance of water. After this it may plain if properly designed but it would take a far greater force to achieve. I would imagine that 10mph may be the maximum speed of a displacement hull as a narrow boat is not designed to plain and a horse would likely as not produce sufficient force at sufficient speed. The maximum speed through the water for a 70ft displacement hull would be about 12.6 mph. Narrow boats do not plane, ever. However that is the speed through the water. The speed relative to land may every different, even on a canal where there is little or no current. Firstly a powered vessel causes a significant flow in the opposite direction, and in a narrow shallow opening such as a bridge hole the boat may become almost stationery; the quickest exit from a 7ft wide bridge is often achieved by cutting the power just after entering it, so that your stern wave catches you up and pushes you through the hole. Secondly a horse drawn boat does not suffer from this problem, so can often travel faster relative to land than a powered boat; but water must still flow backwards past the hull to fill the hole behind the boat. The soliton wave is a very special case, however, in which a localised forward movement of water is achieved; a boat that can ride this wave may travel faster over land than even the 12.6 mph displacement limit. It is somewhat similar to the bridge-hole example I gave above. Flyboats on the L&LC did have precedence at locks, as these two items tell. I suspect precedence was introduced post 1840, to compete with railway traffic, with more severe penalties being introduced around 1880, when the company was encouraging the carriage of general cargo. Hastings has made a valid point that flyboats did not actually travel much faster that other craft. The overall journey was often greater and they travelled both day a night calling at a few places en route. There was a general metamorphosis in the type of flyboats on canals such as the Shropshire Union where designs were both sleeker and lighter. Symbol was a good example of this development. Packet boats did have a greater average speed. Hence the name given to the Swift Packet that went from Birmingham to Wolverhampton. SUR&CC and FMC boats are essentially slow boats built with much finer lines, and I think not the same boats as used by Pickford's or any other of the fly-boat operators. Ted King (of the well known King boating family) as a young man worked with an old boatman in 1921, who, as a boy, was one of the last horse drivers working the London to Manchester non-stop fly-boats in the 1850's. He said they carried 18 tons maximum load with a crew of three per boat. The horse was changed at intervals with boats having two horses, one pulling the boat, the other standing aboard, presumably on a long fore-deck. They would be swapped around when the towing horse became tired and it could take its turn having a rest on the boat. These were horses selected for their stamina and relatively small with the driver being a boy who sat upon the horse's back. The boats were built for speed and designed to alleviate bow wave and drag at the stern going at six to seven miles per hour. No man or boy could walk at that speed hence they rode horseback. Samuel Salt's statistics and calculations published in 1845 quoted a speed for slow boats 2 1/2 mph, Flyboats 4 mph and Swift boats (packet boats) as 10 mph. It seems that different definitions exist for fly boats. I believe on narrow canals, the term flyboat was specific to a type of boat and the service it performed, perhaps Mike canal clarify this for the wider canals such as the Leeds & Liverpool. The size of boat may vary as a barge or narrow boat though. On wide canals it seems narrow boats that were fly boats could operate alongside wide boats. Seemingly both Pickfords and Kenworthy had narrow boat/ flyboats, on the Bridgewater. The Packet Boats, which conveyed both passengers and parcels were clearly the fastest as their timetables show. Such fast packets included (Liverpool- Manchester & V/V) summer months; Birmingham- Wolverhampton (Swift Packet) and Rednal- Newtown. Ted King said the trip from London to Manchester took (give or take) some 70 hours non stop. This will help to work out the speed! On wide canals, the term flyboat could be applied to any general cargo carrying boat, and from the Canal Carriers Act (1845 IIRC) until 1921 were usually owned by the canal company. They usually worked non-stop, with an extra man to help keep things moving. Boats with the standard two-man crew would be called slow boats, as they could stop for a few hours for the men to sleep. The photo below is at the junction for Dewsbury, and the boat is probably owned by the A&CN By 1947, they had 17 short boats (70 ton and C&HN sized), 7 long boats (100 ton), 6 barges (140 ton), ans two steam flyboats. Three of the short boats, the only iron ones at the time, survive, nos 27, 68, 85, which are now Pauline, June and Fair Maiden. Some of the steamers on the L&LC were built slightly narrow, around 12 feet, so they could work faster as flyboats. The soliton wave is a very special case, however, in which a localised forward movement of water is achieved; a boat that can ride this wave may travel faster over land than even the 12.6 mph displacement limit. It is somewhat similar to the bridge-hole example I gave above. Scott Russell, who first identified the concept of a soliton wave is remembered by an aqueduct named after him on the Union Canal approaching Edinburgh. This link describes an attempt to re-create Scott Russell's first sighting of the wave in 1834. The soliton wave is significant now in digital communication.